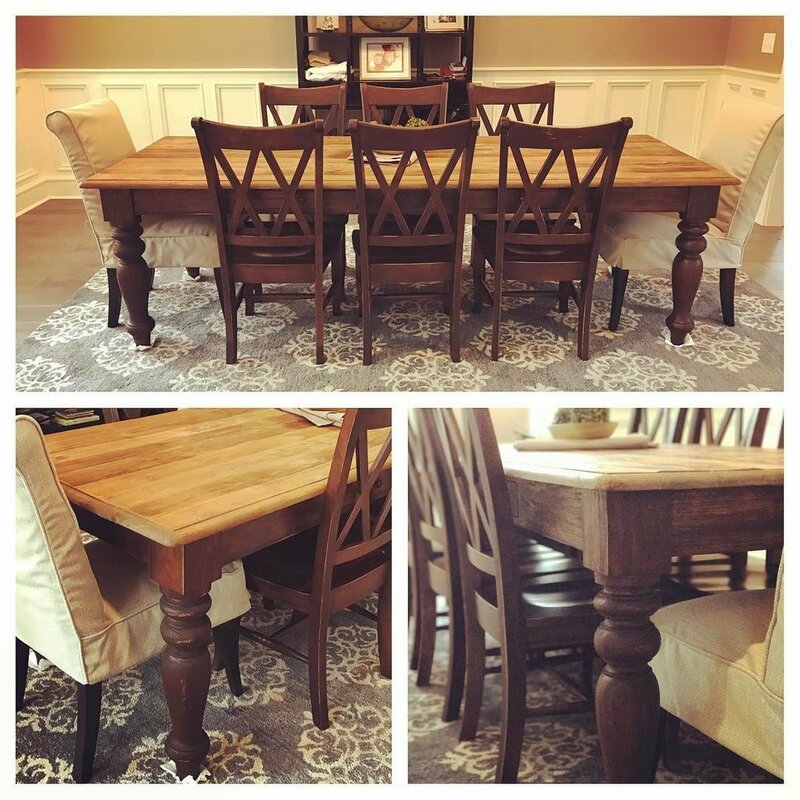 Dining Tables are one of our favorite things to build, restore, and refinish. Knowing that families will be gathering around these custom built creations to eat and spend time together for generations to come makes the days and sometimes weeks of building them worth every minute. From trestle tables to traditional bread-board farm tables we can work together to design and build your grandchildren's table. With their beautiful double legs and connecting beams or bars, trestle style tables can add a classic look to your dining room. We can even engrave into the top of your table. Traditional farm style tables come in many shapes and styles. 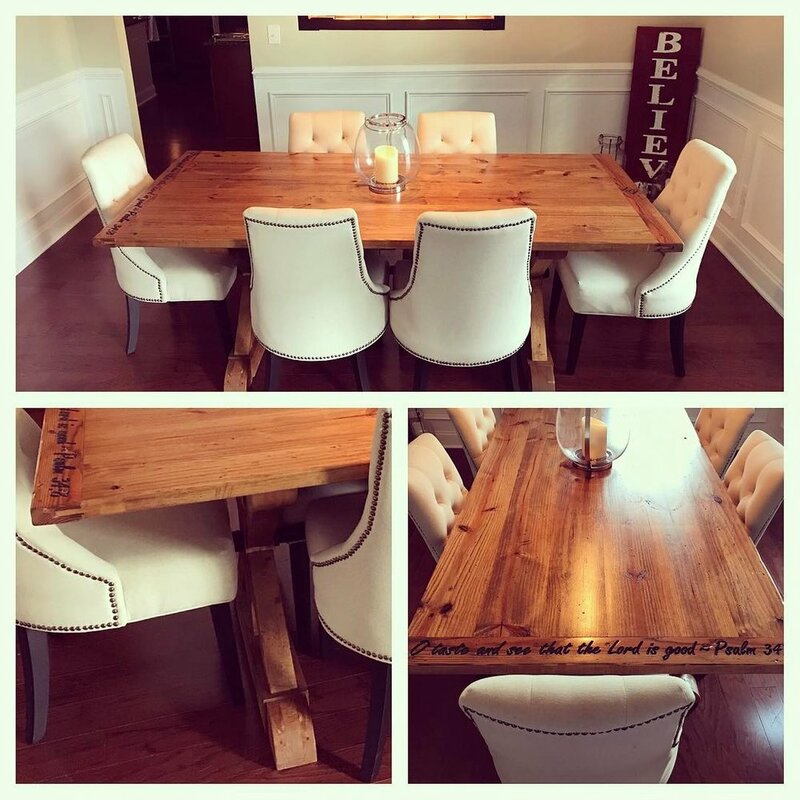 Whether using reclaimed barn wood or new wood made to look old, we can design your custom farm table to fit any size room. Sometimes the table you already have can be your future table. We can restore, repair, and/or refinish your existing table to suit your changing needs and tastes.